Today, some applications help us to accomplish many things in our daily lives. Some are for work, and others are for pleasure. One of the most popular applications for pleasure is Casino.com. 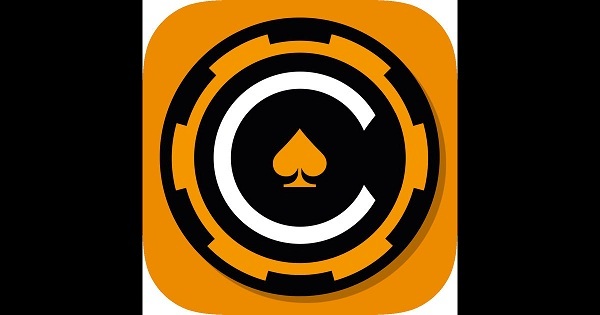 This one is available for iOS, and it allows you to play your favorite casino games. Some examples of these include blackjack, slots, and even roulette. You can even bet with real money and enjoy some winnings. Are you a fan of this application? If yes, there is great news! The Casino.com iOS application has been updated! The engineers behind your favorite casino game application have improved it such that it now supports Apple Touch ID technology. Read on to discover more. Designed and built by top engineers at MANSION (GIBRALTAR) LIMITED, the most recent version of Casino.com for iOS has some very exciting features. Officially labeled as Casino.com 2.1, it contains more than 120 new games for you to play. Are you already a member of Casino.com? If yes, you do not have to register again. Simply download the updated version and continue to play with your available balance. Your first deposit in the new application will be doubled to a maximum of £400. This is an incredible welcome into Casino.com 2.1. Also, there is a monthly promotion that is known as ‘Make Your Match’. In this one, you get a 100% bonus on your first deposit of every month. You can literally double your money on the house. In Casino.com 2.1, you can choose to play with real money or in a demonstration mode. If you are new to the games, demo mode will help you to practice and sharpen your skills. After that, you can proceed to gamble with real money. This application gives you access to slots that have up to 25 pay lines on five reels. You can also simply tap and drag your chips in games such as poker. Casino.com 2.1 is an entertaining and rewarding application to download. The new version of this app was released on 4th August 2016. It is only 83.2 MB (megabytes) in size and is available in the English language. To download it, you need to be older than 17 years of age. This is because the application has suggestive themes that frequently appear to entice the player. Moreover, it contains intense gambling sessions and contests. To use Casino.com 2.1, one also needs to have unrestricted access to the Internet. Therefore, this application is for mature players. To install it on your device, you need to have iOS 7 or later already installed on it. This application is fully compatible with iPad, iPhone and iPod touch devices that have this minimum requirement. It is also readily available in the iTunes App Store. A nice surprise is that there is a desktop version of this application. You can get the Casino.com software application for your computer by clicking here. It will take you to a web page where you can pick a version of the application that is compatible with the operating system of your computer. Probably one of the most popular games you are going to find at this gaming platform is the online roulette, which comes in many different versions such as the classic European Roulette, the French Roulette, the 3D roulette and even ‘Marvel Roulette’ based on the American Roulette but with some exclusive features. There are many strategies around the web that will help new players make the right bets while playing roulette and the ‘demo mode’ Casino.com offers is the perfect place to practice. Casino.com 2.1 for iOS is compatible with the latest security feature for Apple devices. This feature is known as Apple Touch ID. Here is a little about this technology and how it makes your experience in Casino.com much more convenient. What is Apple Touch ID and how can you use it in Casino.com? Apple Touch ID is a brand new security feature on the latest Apple devices. It allows your device to authenticate entry and other activities using your fingerprint. As such, it is a biometric security feature. Using Touch ID, you can unlock your Apple device, authenticate purchases in the iTunes store or interact with applications securely. Touch ID allows you to authenticate deposits in your Casino.com 2.1 online wallet. It also authenticates any withdrawals of your money, winnings or both. Instead of using a password to allow for these processes to happen in casino apps, you can simply place your finger on the home button and Touch ID will scan your fingerprint. If it matches the one you saved on your device, then you will gain entry into your phone or authenticate other activities as you interact with it. Apple Touch ID increases the security and convenient use of your device. It also allows you to add or remove money easily while playing the games in Casino.com 2.1. What’s more, you can save more than one fingerprint on your Apple device. This way, other people that you trust can be authorized by Apple Touch ID to use your device. Casino.com 2.1 for iOS is a one-stop location to enjoy all your favorite casino games. It is packed full of these, and you can play at any time of the day or night. In case you run into some difficulties, there is customer support available for you 24/7. You can simply contact them using the dedicated email address of support@casino.com or by calling their UK number 0808 238 6049 on your phone for free!